All Model Tablets Basic Service, Major Issue & Tabs Screen Servicable Here For Best Price and Any issue For Your Tabs Service For With in 24 hours. ! Deals with all different types of basic and Major repairs including broken LCD screen and Touch Screen Service And replacements. Fix your broken device fast with our comprehensive repair service or screen replacement performed by expert technicians. There are 2 common issues related to Tab Board Service 1.Dead Tab board with no activity at all. 2.Tab Board with video issue. In this case, we need to inspect damaged areas on the Tab Board, depends on the conditions, 80 percent of liquid damaged Tab Board can be fixed. 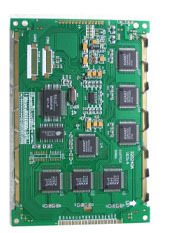 Our highly qualified electronic engineers and our extensive stocks on Tab board components and replacement Tab board enable us to repair your Tabs board the very same day you bring them to our workshop. Liquid spilled on the Tablet board. (could be water, coffee, juice, milk, wine). Usually, Tabs will not work properly if Water damage got spilled liquid. It looks like some keys are not working or a group of Touch have no response at all. We will replace the Board with a brand new one at lowest price after we fixed Your Tabs because we have all common models Tabs in stock with different colours and finishing. First thing to check is that you are using the Tablet supplied charger, or at least a Tablet charger that has the same output as the charger supplied by the Tablet manufacturer. This output can be read on the Tablet manufacturers' charger and the two important pieces of information will be the voltage. As the main mode of interaction between you and your apps, the Tablet display is vitally important. 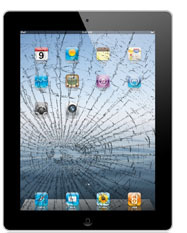 Any damage inflicted will degrade the reliability of the component, and short of paying for a replacement display and digitiser, you will need to make sure the Tablet display is kept safe and intact at any times. 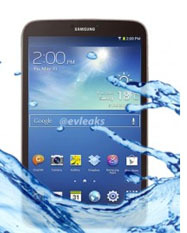 The main factor in the experience for a Tablet PC is going to be the operating system. It is the basis for the whole experience including the interface gestures, application support and even what features a device can actually support. In particular, selecting a nexus Tablet with a specific operating system will essentially tie you to that platform just as if you selected a Windows or Mac based PC but even that is more flexible than Tablets currently are. Probably the camera lens of your Tablet camera is not working anymore or broken.However, you can try to do the reset if you want to see whether it is because of many apps you have installed.hold in the power button for about 40-50 secs while setting the volume into its maximum level, then wait until the pop-up window appears they do the reset. The volume setting for one or more sound devices might be disabled or set too low. There are several things that can change sound volume: the volume control Tablet and volume controls in sound software. If any of these volume controls are muted or set too low, the entire sound experience is affected. Wi-Fi connection is not stable on the Tablet, then to solve the Tablet. slow Wi-Fi issue you need to download PingMeter from Google Play store and then whenever you turn on the Wi-Fi connection, start the PingMeter. To do this follow the below steps Go to google play and search for PING, From there download PingMeter on your Tablet,To avoid the annoying beeps, you can silent the pinging,Go to Settings of PingMeter and set the packet size to 8, Make sure that the PingMeter has started pinging,To minimize the app, press home button,Following the above steps.. If your wireless network isn’t working properly with your Tablet, it may be a problem with the WiFi or it may be a problem with the Tablet’s connection to the WiFi signal. Use your computer’s troubleshooting tools to check its configuration. Plus, each wireless device has a built-in configuration and setup screen you can access from your computer.